Friends are gift from Gods. Not everyone so lucky to get a bestfriend. Here is a beautiful friendship picture expressing the value of friendship. 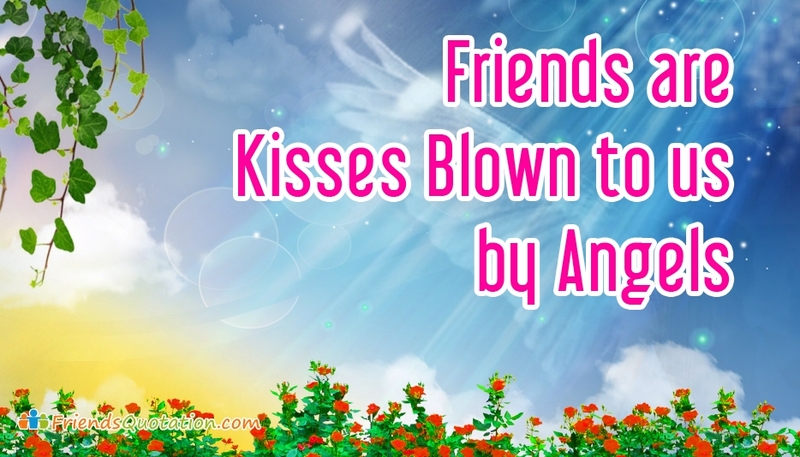 Share this "Friends are Kisses Blown to Us by Angels" picture with your bestfriend and say to him/her that he/she is an angel in your life.